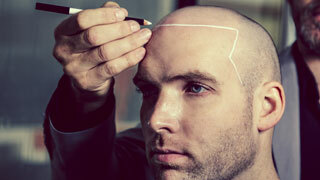 The scalp micropigmentation industry in Australia is quite new and subsequently under-developed. A handful of permanent makeup artists have been offering hair loss concealments for several years, although their results vary greatly from place to place. The Shadow Clinic opened its doors in 2010 and was the first to publish results comparable to those achieved by clinics in the United States and the UK. Since then Founder Ricky Hancock has continued to demonstrate what The Shadow Clinic is truly capable of, and the results we’re seeing just keep getting better and better. 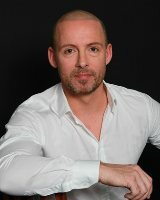 Ricky and his team are fast establishing The Shadow Clinic as Australia’s number one authority on scalp micropigmentation, and the company has recently opened its second clinic in neighboring New Zealand. In common with many men, Ricky Hancock started losing his hair in his 20’s. Ricky tried everything from finasteride tablets to minoxidil lotion, before turning to hair transplant surgery in an attempt to regain his youthful looks. 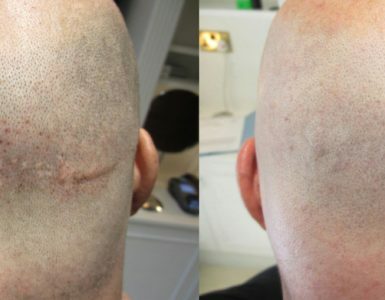 Ricky is a trained and certified cosmetic micropigmentation technician, and when his hair transplant surgery failed to deliver the result he was hoping for, Ricky turned to his training to develop his own solution. 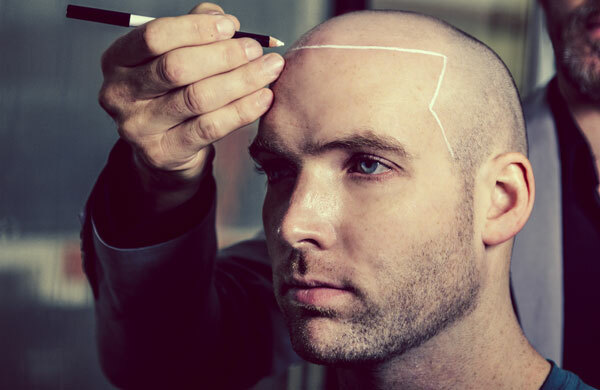 After intensive training and honing of his technique at home and abroad, Ricky underwent his own scalp micropigmentation procedure and launched The Shadow Clinic shortly after. We are not a beauty salon, cosmetic tattooist specializing in eyeliner or lipliner or a tattoo parlor! 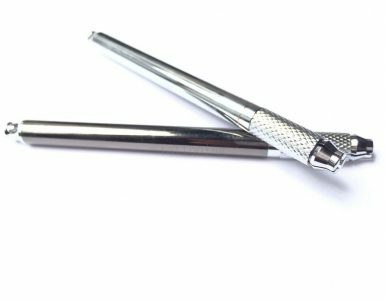 We specialise in scalp micropigmentation for men and women. This is all we do, our SMP treatment techniques are world class. Being a hair loss candidate myself as well as David, our Sydney based technician, we understand the emotion and confidence breakdown many hair loss sufferers go through. It creates a passion for what we do and the role we play at The Shadow Clinic to deliver outstanding SMP results. Ricky and his team haven’t tried to reinvent the wheel, they simply took an existing technique and perfected it. I know from personal experience that there is a massive demand for scalp micropigmentation services in Australia, but also from further afield in countries such as Malaysia, China, Japan and Indonesia. Before the Australian market existed, quality options in the region were limited to a clinic in Hong Kong, one in India and another in the UAE. Those considering treatment now have much more choice, and with quality treatments like these available on Australian soil, its no wonder The Shadow Clinic is doing so well. A Shadow Clinic technician carefully templates a possible hairline position. Appropriate placement of the hairline is crucial for the most natural results. Following significant success from an early stage, Ricky and his team opened a second location in Bay Of Plenty, New Zealand. This is a really interesting prospect, as to my knowledge there are no established SMP clinics in that region. I do not know what the demand will be for sure, but I estimate it will be significant. After all, hair loss recognises no borders or nationalities. A picture paints a thousand words as they say, so here are some of their before and after photographs. One major plus is that The Shadow Clinic offers its clients a 12 month guarantee. I believe at this point in time they are the only provider in Australia to do so, and this is a big advantage for those considering treatment. Their guarantee starts from the date of your first session and provides one free session during the effective period if it is needed. Please note however that their guarantee does not cover any work done on scar tissue. A few things. First, this is one of the only SMP providers in the world to offer a forum for its customers alongside HIS Hair Clinic, Skalp Clinic and Evolve. Their forum is quite new, but there are a couple of names in there I recognise from the HIS forum. Well worth checking out. Their location in Sydney is also ideal due to its ease of access. You will need to return to the clinic at some point in the future for refresher sessions, so having a clinic that is easy to get to is definitely an advantage. Finally, I’ve noticed that The Shadow Clinic is particularly good at creating natural-looking hairlines. This is an area in which many providers have improved greatly in recent years, but this company in particular is demonstrating some excellent work. See some of their hairline photographs on this page for example. To summarize, this provider is proving its worth through its results. Their before and after photos appear to be genuine, their operation seems to offer a high level of professionalism and I’m hearing some great things about this company through the grapevine. I’m sure Ricky and his team can look forward to a bright future if they continue doing what they’re doing, and I would certainly suggest that anyone in Australia considering a scalp micropigmentation treatment should view The Shadow Clinic as a primary option.